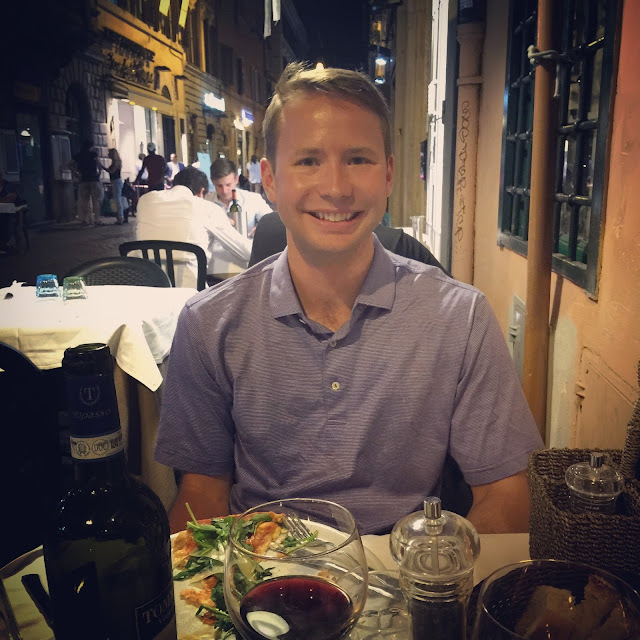 I've got to be honest, of all three cities that John and I visited in Europe, Rome was the one that I thought I was going to enjoy the least. But much to my surprise, Rome ended up being my favorite! It is such a beautiful city with so much history. And let's be real... the food was unreal - gelato, pasta, pizza - I die! When we first got to Rome it was hottttt and humid, so we wasted no time in taking advantage of the Roman city water. Rome has water fountains throughout the city where you can refill your bottles... it feels a bit strange at first, but the water tastes great! Fountain of the Old Boat! First stop... the Spanish Steps! I'm a little bit obsessed with Roman Holiday, so it was no question that the Spanish Steps would be a must-see (...like 10 times) for me. And we enjoyed the Spanish Steps while eating the most mind blowing pasta. Rome has amazing food, and mediocre food... and John and I did not want to waste a single calorie on anything that wasn't going to be amazing. John found out about a little pasta shop called Pastificio that is only open from 1-2PM for lunch, but you have to show up at least 30 minutes early to get in line because one the pasta is gone, they close for the day. And get this... this amazingly fresh pasta is only 4 Euro - hollerrr! When John and I first started eating, we seriously did not say anything to each other for about 30 minutes because we didn't want to stop eating - that good! After lunch we walked off our pasta and explored the city and all of its piazzas! Each piazza featured a unique and impressive Bernini fountain. 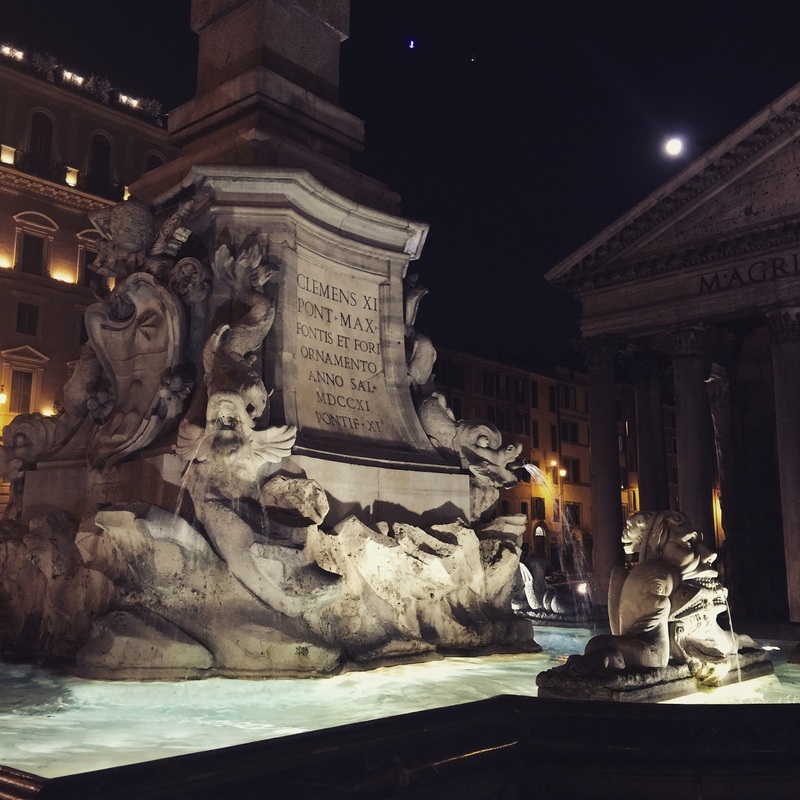 Instead of a hotel, John and I did an Airbnb and it was conveniently located right outside the Pantheon... honestly, we walked out of our door and the Pantheon was right there - it was unreal! We toured inside, and it was certainly beautiful, but it was mostly so hard to believe all of its history... the Pantheon (as it currently stands) was built in approximately 118AD. What?! We enjoyed a lovely dinner and some wine right outside of the Pantheon and it was the perfect end to our first day in Roma! We started our second day bright and early at Vatican City. We toured the Sistine Chapel, Vatican Museums, and St. Peter's Basilica. The tour we took allowed us entry to the Sistine Chapel before it opened to the pubic, and both John and I were speechless... there were no photos allowed in the Sistine Chapel, but let me tell you, Michelangelo was the real deal! I knew very little about Michelangelo and the Sistine Chapel, so the tour was extremely educational and interesting. Honestly, had we not taken a tour, I would have not gotten nearly as much out of the experience. After the Sistine Chapel, we toured the Vatican Museums. Swiss Guards, AKA the world's smallest army! After touring Vatican City (which is technically its own country! ), we headed back to Rome and went to the Trevi Fountain. Super sadly it was under restoration so it was blocked off with construction equipment... I guess that's what happens when you're trying to maintain something so old! We finished the evening exploring the city and walking to Pincio Gardens to catch the sunset. View from the Pincio Gardens... just in time for the sunset! And of course... more pasta for dinner! 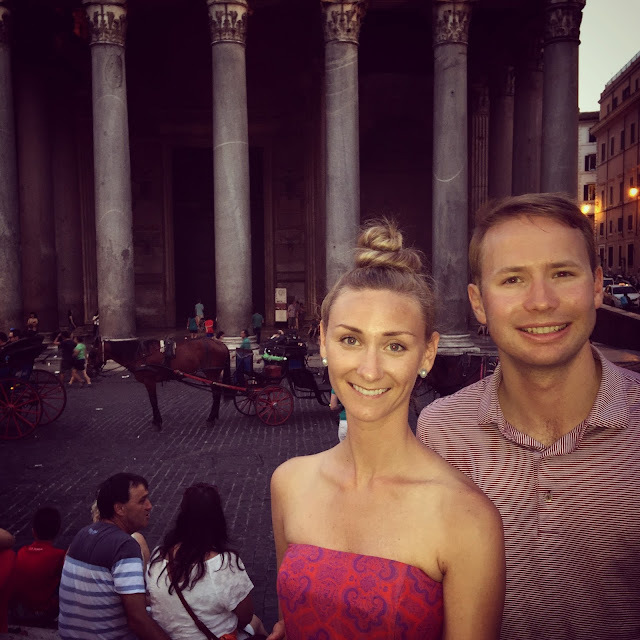 Our third day in Rome was spent touring the Roman Forum, Palatine Hill, and the Colosseum. Similar to the tours the day before, having a guide was key; we would not have gotten nearly as much out of our visit without someone explaining the history and context. 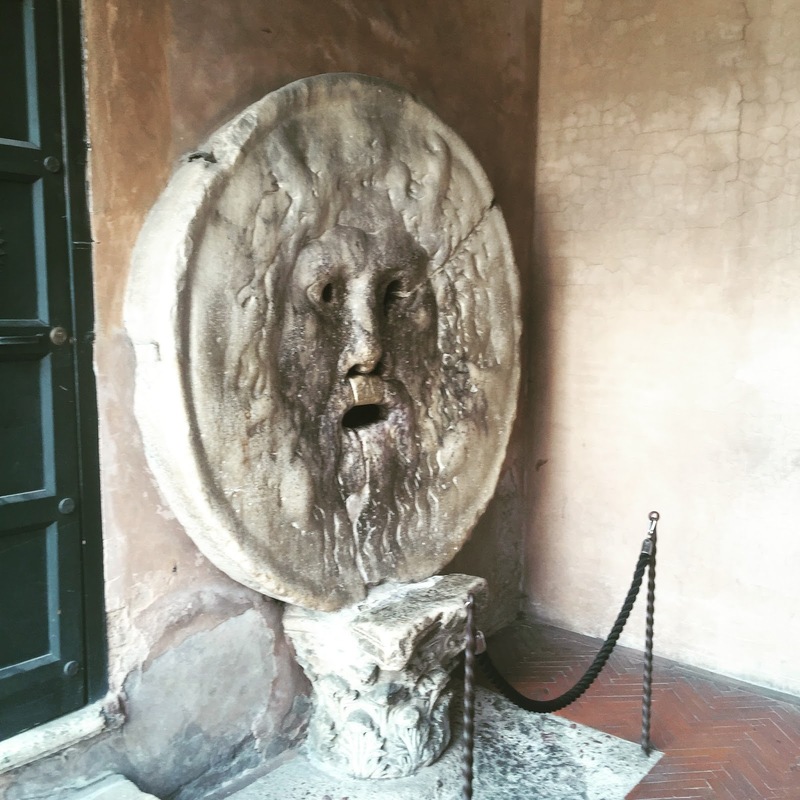 After our tours, we finished our final day in Rome by heading to the Bocca della Verita - the Mouth of Truth!! And on our way, I chowed down on some fresh coconut... delish! Sadly, when we got to the Bocca della Verita it was closed for the day. I was really disappointed as my favorite scene in Roman Holiday was when Gregory Peck put his hand into the mouth and pretended it was bitten off! 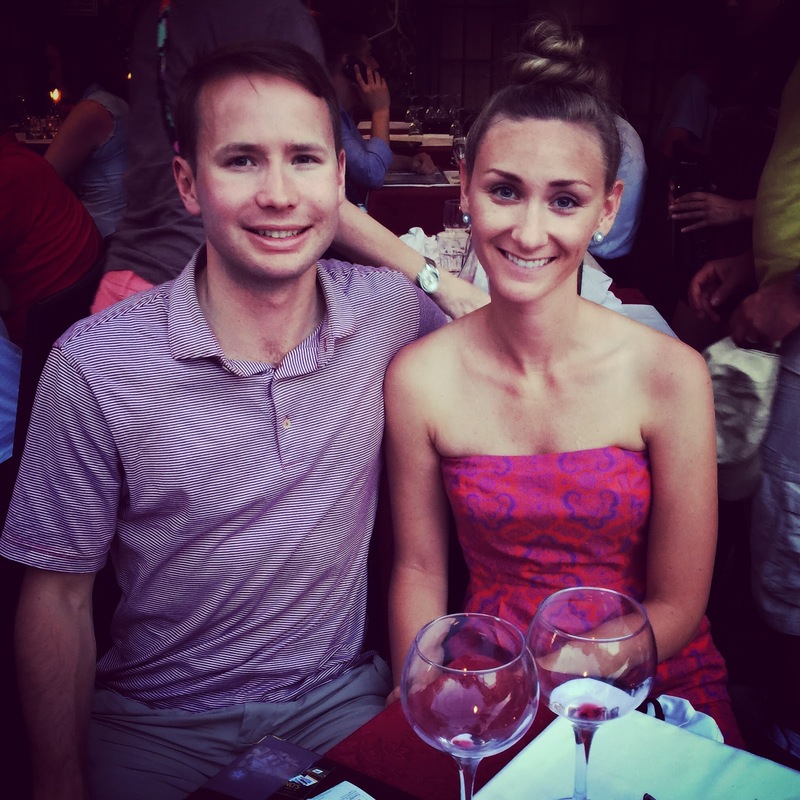 We finished our final evening in Rome by eating an absurd amount of food at L'Enoteca Antica. This was honestly a perfect close to our trip... the wine, food, and company couldn't have been more perfect - I am pretty sure we were there for close to 4 hours eating! 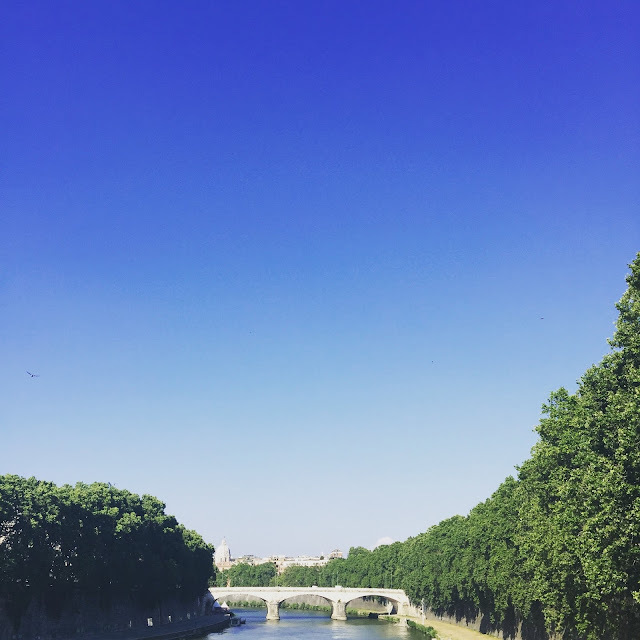 Rome was so amazing, and I now am on a mission to explore the rest of Italy... yes, please! Once again, amazing pictures that leave me speechless! I love your one-shoulder dress! 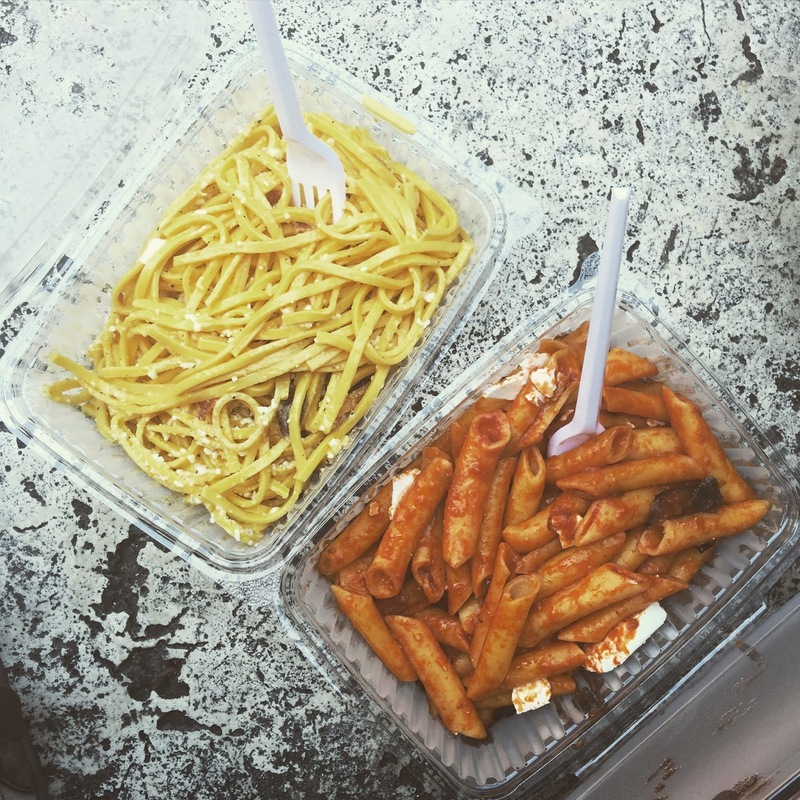 Being that I could live off of pasta, I need to visit Rome ASAP! Your dress is beautiful!!! I LOVE it!! And your pictures...I've never been to Rome, but now I have to go! What an amazing trip! One of the first things I would in Europe is eat pasta. What an amazing city! We've never been to Italy, but I would LOVE to go. That food looks sooooo good, and I love all of the sites you had a chance to visit. We ate at that Pastifico place too! So good. 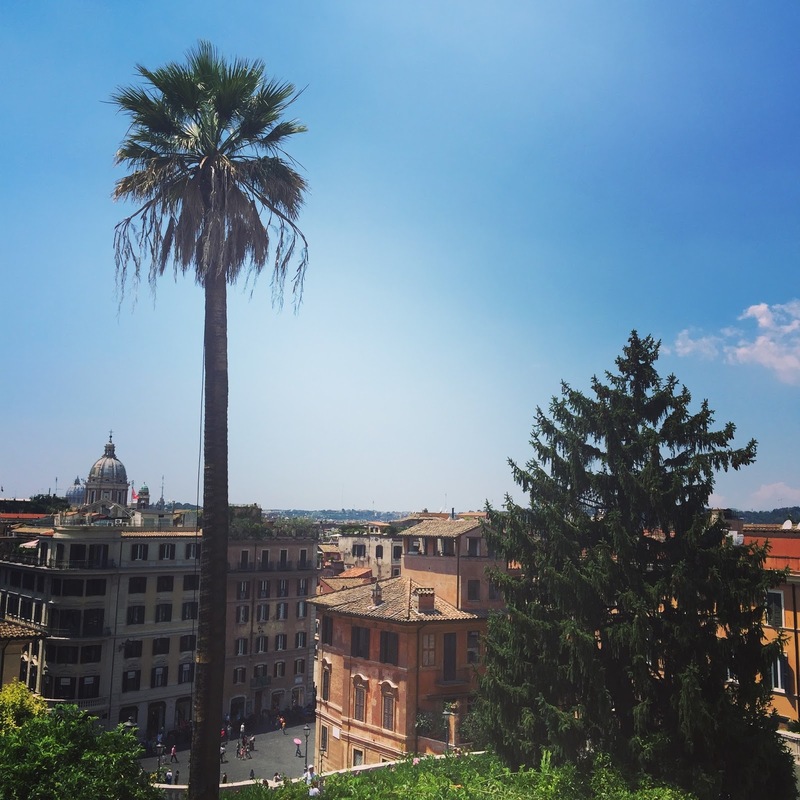 Our hotel in Rome was right off the Spanish steps - and boy did we get our workout in everyday. haha. Loved reliving our trip through yours! Looks like you guys had fun. I wish we would have done more tours at some of the historical sights. Rome looks amazing and your photos are so beautiful! I'm so jealous of your Europe trip, I'm hoping to make it there two summers from now. This looks like so much fun!! The food looks amazing too! I've heard a lot of people say they love Italy and it was a lot cleaner than some other European cities. Such fabulous pictures! Can I go back right now?! OMG! All the pictures of your trip are so amazing! I am so impressed! all the history in those buildings... so amazing! That yellow dress on you... GORGEOUS! I miss Rome so much. I think it's time to get a ticket and go stay with mia famiglia! Haha that’s so funny you guys didn’t talk for so long at first – that’s when you know it’s a delicious meal! All these photos are so gorgeous – the buildings and architecture are unreal! I love that you still threw your coin in, I would have totally done the same :) You guys saw so much and I am so jealous – hoping to get there soon! I love Rome!! Looks like you guys had the best time! I wish we had found that fresh pasta! 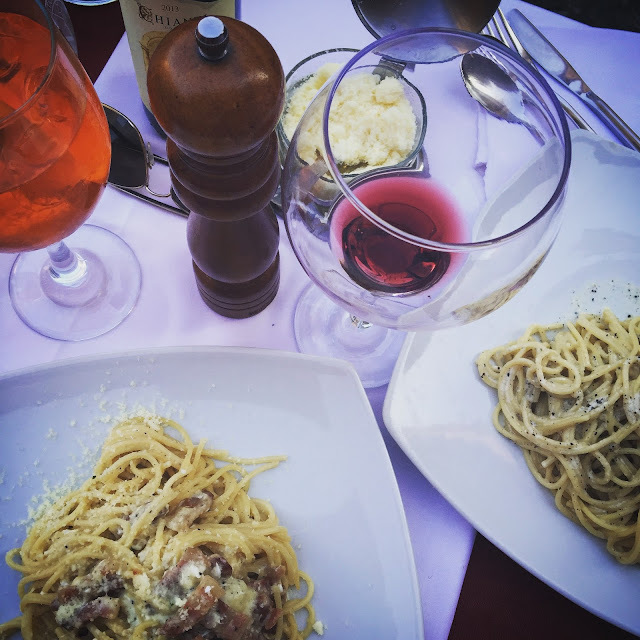 We definitely had a difficult time with food in Rome! OMG you make me want to go back!! I'm so glad you enjoyed the early Vatican tour too - I think it's my FAVORITE thing I've done in regards to skipping the lines. Totally worth it! I love all your dresses - that one shoulder dress looks AMAZING on you! What a great vacation! I love Rome and have spent some time there over the years. Your recap makes me want to go back.